1.5 story home with over 1,900 sq. 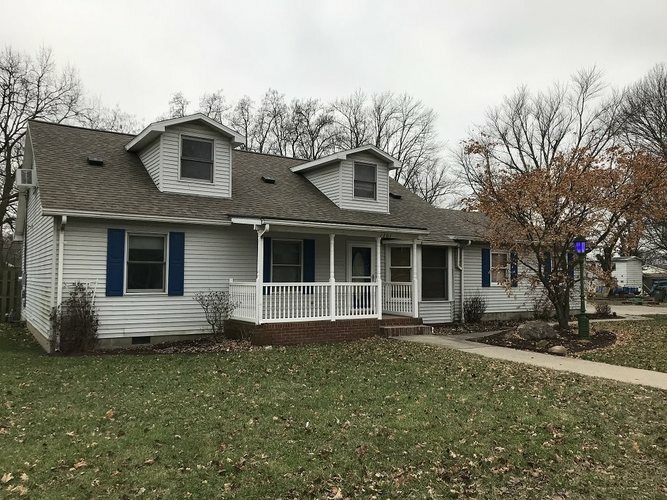 ft. Large open living room, kitchen and dining area, 3 bedrooms, 2 full baths, den, laundry room with washer/dryer, 2 car attached garage, storage shed, covered front porch, open deck & nice back yard. Ave. monthly electric: $136.00, ave. monthly gas: $45.00. Directions:From the intersection of 6th and Hart St., Head SE on Hart St., Turn left onto N 13th St., Turn right onto Wabash Ave., Turn right onto Bridge Ave., house will be on the left.